In the world of ever increasing comics prices, it can be difficult to keep up with monthly books. DC and Marvel are dominated by books upped to the $3.99 price tag, and Image is having to switch up to the $3.50 price to keep up things. Many popular indie comics like Saga, Walking Dead, and Wytches have kept their $2.99 price tag, which many people speculate is because they make their real money in trade paperbacks. This has also been the logic applied to Vertigo, which often sells a lot of copies in trade at bookstores to “non comic readers.” This trend may be changing. 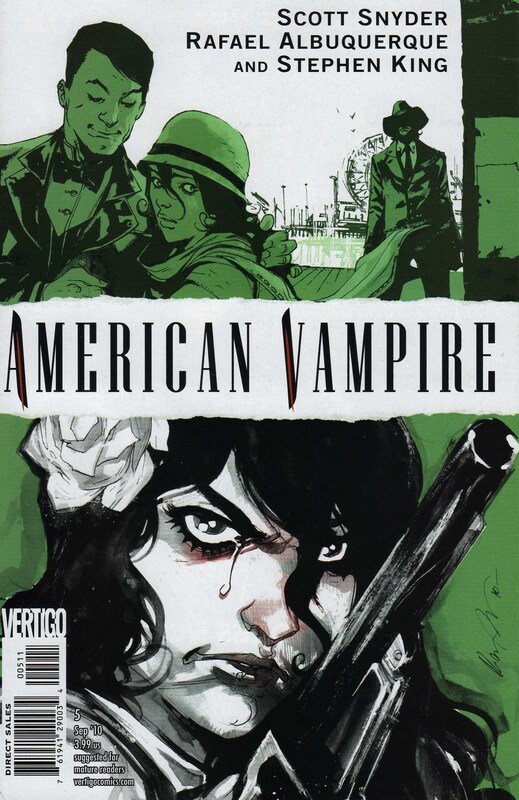 Vertigo recently announced that American Vampire is jumping to a $3.99 price tag with issue #9, a surprise when Vertigo has kept many of their comics down. Now in the new solicits, all of their $2.99 books have jumped up to $3.99 as of July this year. So this means that Coffin Hill, Hinterkind, FBP: Federal Bureau of Physics, Effigy, Fables, The Kitchen, The Names, and American Vampire will all jump from $2.99 to $3.99. This is surprising given that many of the less expensive books are struggling to keep audiences, and with books like Hinterkind, this increase could eliminate most monthly readers. It is also part of a more general trend of increasing prices, which we can understand in association with the increase in printing prices, but it is really hard to keep this up for most working class readers. With books like Astro City and Wolf Moon, the high quality printing stock often demands the higher price, but I wonder if most readers wouldn’t want a lower printing quality if it would bring prices down. With things like Sandman: Overture Special Edition and Vertigo Quarterly we understand the higher prices, but we cannot take the hit every month. For readers who read all Vertigo comics, like myself, this actually means that I will have an increase of $8 every month, and I will be paying more for all new books as well. This adds up, making this increase about an additional $100 a year just on what is being released already. We cannot actually get them to halt this, but hopefully we can give them the kind of response that will slow down subsequent increases in the years to come. It is quite possible that we are headed towards $4.99 as we continue to see special books released with that price in the main DCU and at Marvel, and even Vertigo applied this price tag unjustifiably to Strange Sports Stories(a title that really needs all the help it can get). Let them know that you won’t tolerate another price increase!